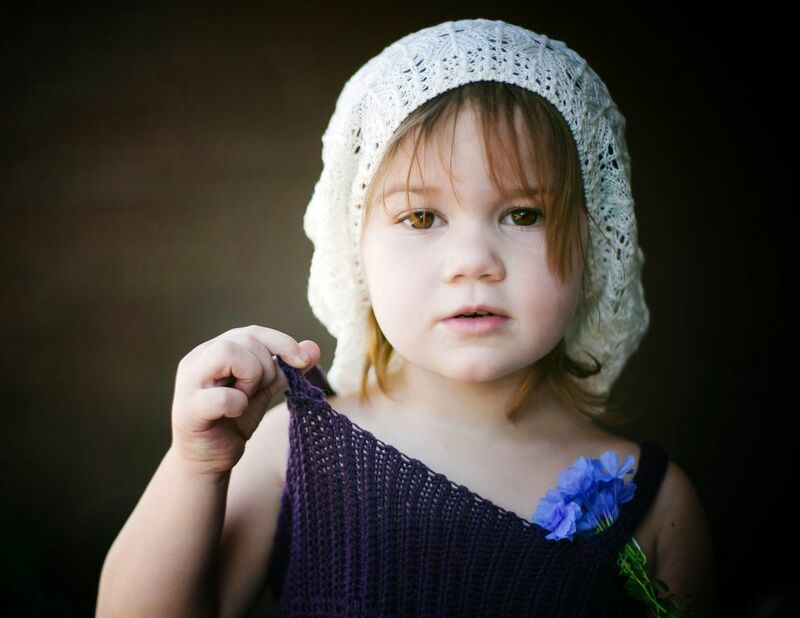 Take the crochet beanie hat into summer with this free pattern. Worked from a 100% cotton yarn, this beanie is perfect for summer. The double crochet mesh is a very open stitch that allows for plenty of air circulation. Crochet it using a wool or acrylic yarn for cool weather wear. 1 (2) skeins Rowan Yarns, Cotton Jeans [100% cotton; 82 yards/50 meters; 50 grams], Color #SH364-Hessian. You can substitute a worsted weight yarn in any fiber content for this project. A cotton, or cotton/acrylic blend, will work best for warm weather wear. You will need approximately 50 to 70 grams in the yarn of your choice. 16 (20)” -- Hat will stretch up to 4” larger than finished circumference. Teen/Adult Small (Adult Medium/Large), or head sizes 16 - 20 (20 - 24)” circumference. Both sizes begin in the same manner. The chain 4 at the beginning of each round will count as the first double crochet and chain 1 throughout the entire pattern. Ch 6, sl st in 1st ch to join rnd. Foundation rnd: ch 4, [dc, ch 1] 8 times into center of rnd, sl st to top of beg ch, sl st in next ch-1 sp -- 9 dc. Rnd 1: Ch 4, dc in same sp, *ch 1, (dc, ch 1, dc) in next sp; rep from * 7 times more, ch 1, sl st in top of beg ch, sl st in next ch-1 sp -- 18 dc. Rnd 2: Ch 4, dc in same sp, ch 1, dc in next ch-1 sp, ch 1, *(dc, ch 1, dc) in next ch-1 sp, ch 1, 1 dc in next ch-1 sp; rep from * 7 times more, sl st in top of beg ch, sl st in next ch-1 sp -- 27 dc. Rnd 3: Ch 4, dc in same sp, ch 1, [dc in next sp, ch 1] twice, *(dc, ch 1, dc) in next ch-1 sp, ch 1, [dc in next ch-1 sp, ch 1] twice; rep from * 7 times more, sl st in top of beg ch, sl st in next ch-1 sp -- 36 dc. Stop increasing here for Teen/Adult Small size and proceed to Double Crochet Mesh Stitch. Rnd 4: Ch 4, dc in same sp, ch 1, [dc in next sp, ch 1] 3 times, *(dc, ch 1, dc) in next ch-1 sp, ch 1, [dc in next ch-1 sp, ch 1] 3 times; rep from * 7 times more, sl st in top of beg ch, sl st in next ch-1 sp -- 45 dc. Stop increasing here for Adult Medium/Large size and proceed to Double Crochet Mesh Stitch. All sizes will work this section. Rnd 1: Ch 4, *dc in next ch-1 sp, ch 1; rep from * to end of rnd, sl st in top of beg ch, sl st in next ch-1 sp -- 36 (45) dc. *Repeat Rnd 1 of double crochet mesh stitch until hat measures 7 (8)” from center of crown, or desired length to end. Last Rnd: Ch 1, sc in next dc, *sc in next ch-1 sp, sc in next dc; rep * to end of rnd, sl st in beg ch --72 (90) sc.